Vera Wang has designed this most beautiful of Wedding Collections which we are proud to offer at Aberdeen Flowers. Our Florist in Aberdeen can recreate the stunning and unique designs of Vera Wang’s Wedding Collection. Aberdeen Florists appreciate that your wedding day is one of the most important days of your life and you want everything to go smoothly, so with the help of our professional florist we can bespoke the flowers to you so whether you want something bigger, smaller similar or exactly the same, it’s totally up to you. Vera Wang’s wedding collection is perfect for the modern fashionista bride, the flowers are beautifully combined to create various themes including traditional, modern and romantic, whatever you chose or are thinking of Aberdeen Flowers can ensure your wedding flowers will look perfect and will be personal to you. Vera Wang uses some of the most sought after and favoured flowers of all, giving her flower collection a luxurious and refined look. Aberdeen Flowers Deliver your wedding flowers directly to you on your wedding day so you don’t have to worry about how you get them, you can let us make sure that they arrive in plenty of time and are personally delivered by Aberdeen Flowers. We recommend a consultation with our professional and knowledgeable florists who have over 40 years’ experience in providing the highest quality wedding flowers. If you have any questions or would like to book a consultation you can call or email us and we would be delighted to be part of your big day’s preparations. At Flowers Aberdeen we take the greatest of care with all of our arrangements and of course your wedding flowers are especially well cared for. Our Florists Aberdeen import all the flowers used here directly from Holland to ensure their quality and freshness. 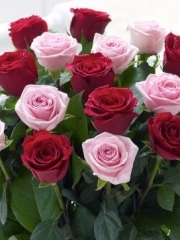 Aberdeen Florists know that the best way to ensure beautiful, long lasting arrangements is to make them from only the best blooms and we always want you to be thrilled with everything you order from us at Flowers Aberdeen so we make the effort to locate the best flowers possible. Customer satisfaction is of the utmost importance to us at Florists Aberdeen which is why we work so hard to bring you joy with your beautiful flower arrangements. When you order your wedding flowers from Aberdeen Florists, your wedding guests will be amazed by the sheer beauty of whatever you decide to order. At Flowers Aberdeen the colours and flowers used in your arrangements are always up to you so if there are alterations you would like to make to anything you see on our website our Florists Aberdeen will be delighted to make up your order exactly as you like so that your wedding flowers are always tailored to you. We make every effort to ensure that you will be delighted with your Aberdeen Flowers wedding arrangements, including delivering them carefully and on time so that you have one less thing to think about because you will have confidence in our Florists Aberdeen.